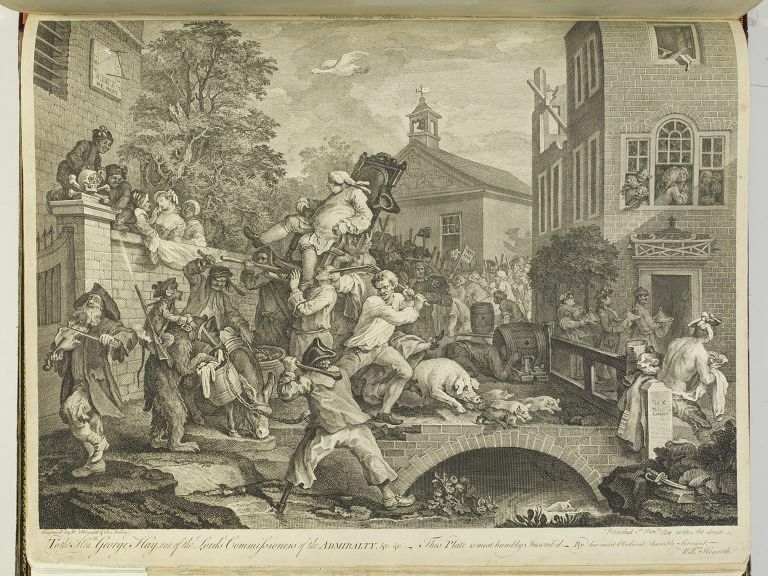 Chairing the Member; After Hogarth's 1755 oil painting of the same name; Depicting a victorious Tory candidate being carried through the streets on a chair; Engraving print on paper. 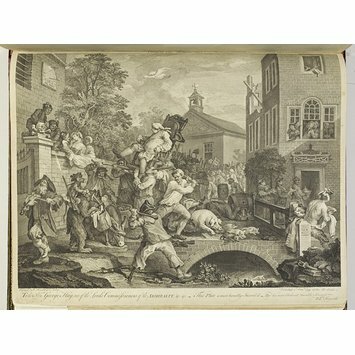 This series of engravings are taken from the four oil paintings produced by Hogarth in 1755, also called 'The Humours of an Election'. They illustrate the election of a member of parliament in Oxfordshire in 1754. Chairing the Member; Part of the series 'The Humours of an Election'; After William Hogarth's 1755 oil painting of the same name; Engraving print on paper; Engraved by William Hogarth and François Antoine Aviline; English School; 1758.